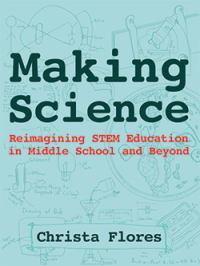 Dr. Gary Stager created a new guide, Tips for Architects from Maker Educators, for an upcoming panel discussion at the Association for Learning Environments 2016 Regional Conference in Phoenix, Arizona. Download Tips for Architects from Maker Educators. ‹ What’s going on in Mobile/Pensacola and Cincinnati?